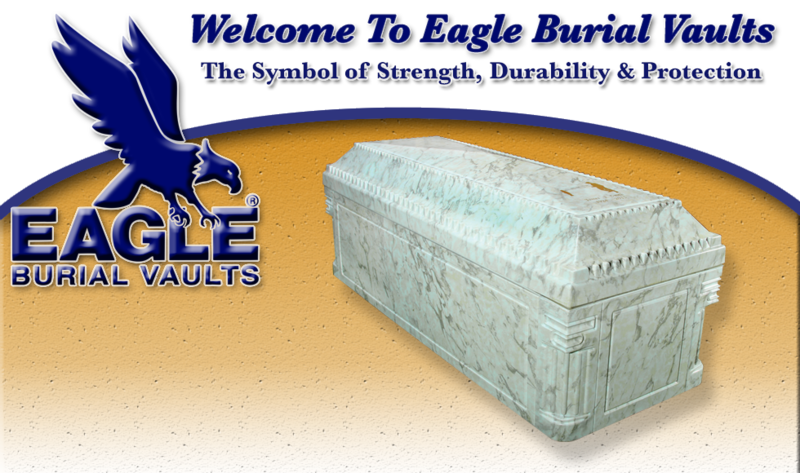 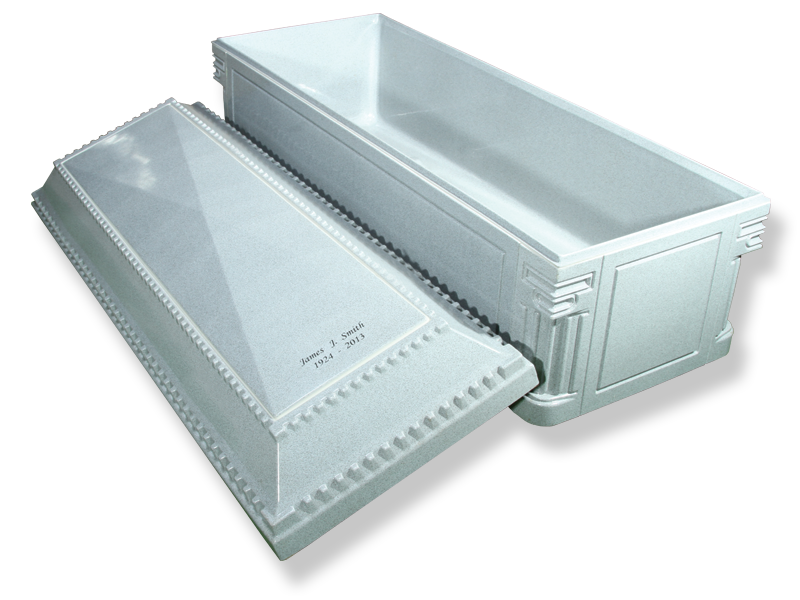 The Corinthian line completely surrounds the vault with a durable polystyrene shell, both inside and out for three layers of protection. 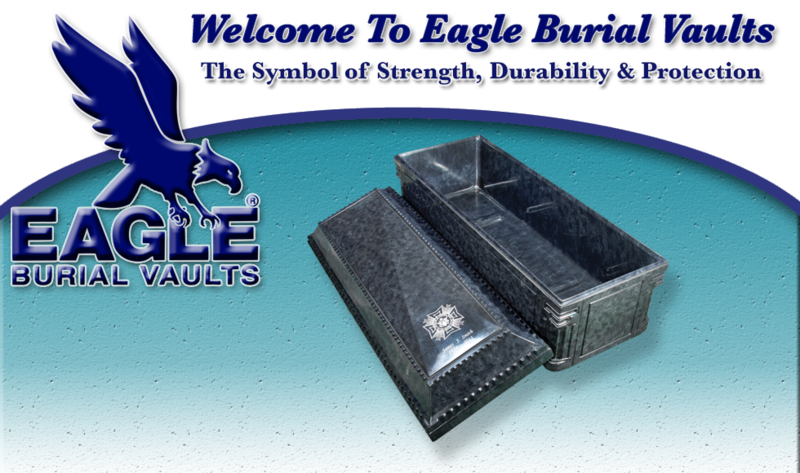 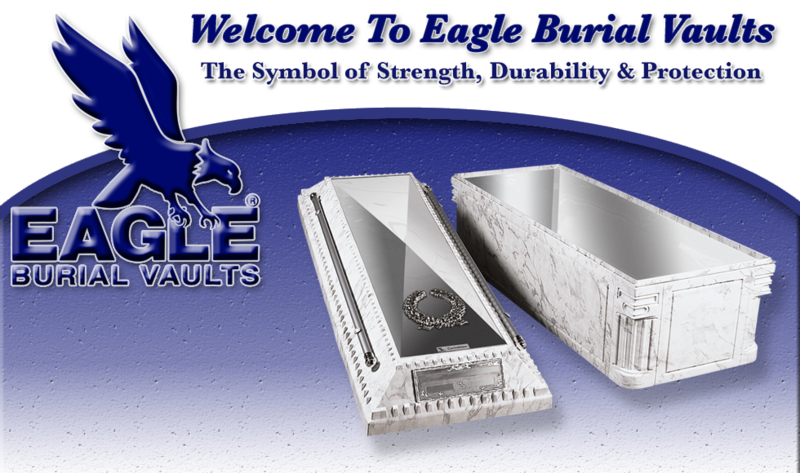 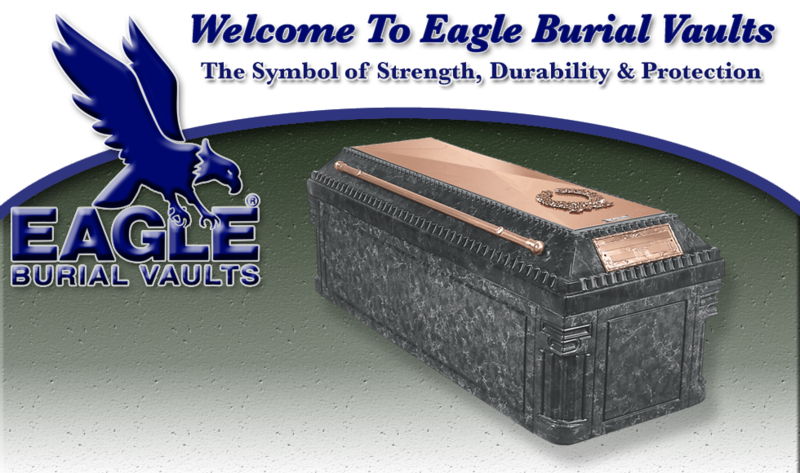 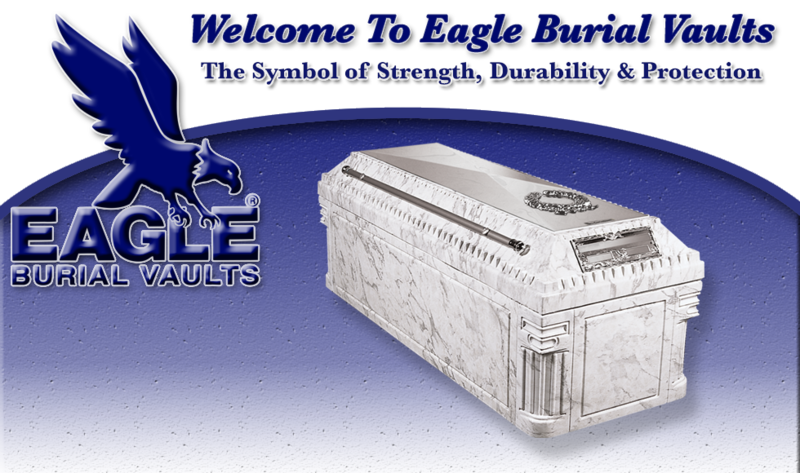 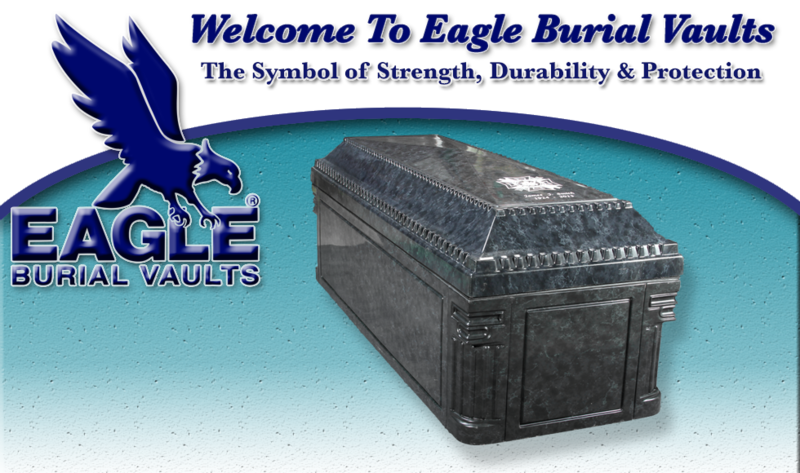 The vault is made of over one ton of high-strength reinforced concrete, for warranted strength and durability. 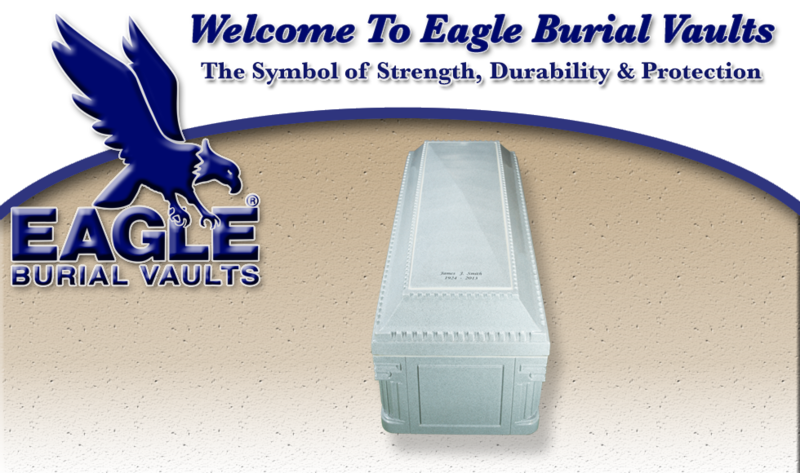 We also use a tongue and groove seal with a butyl rubber sealing compound to bond the base and cover into a single unit. 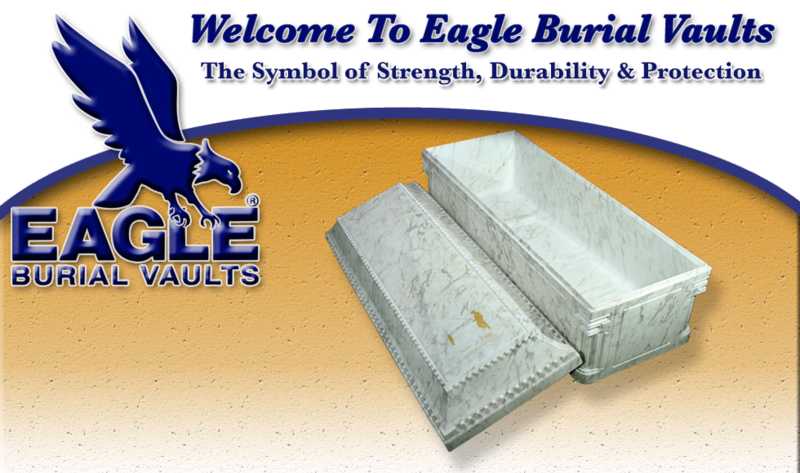 Plus, refined classic styling at a very affordable price. 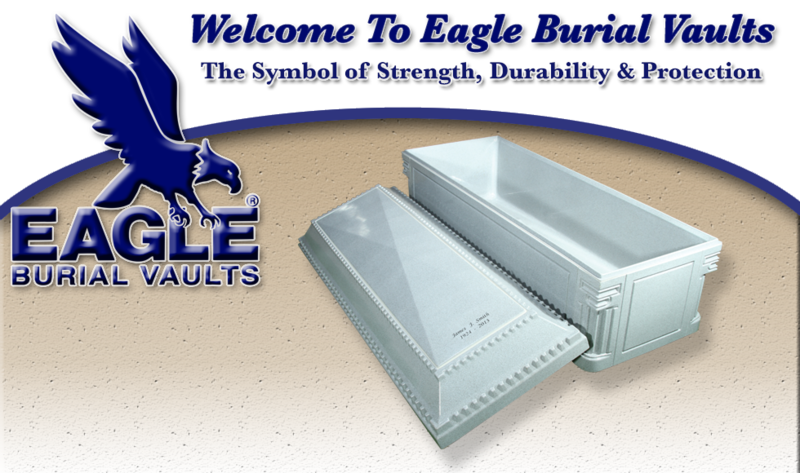 Exclusive monument cap and embossed lid design, filled with reinforced concrete. 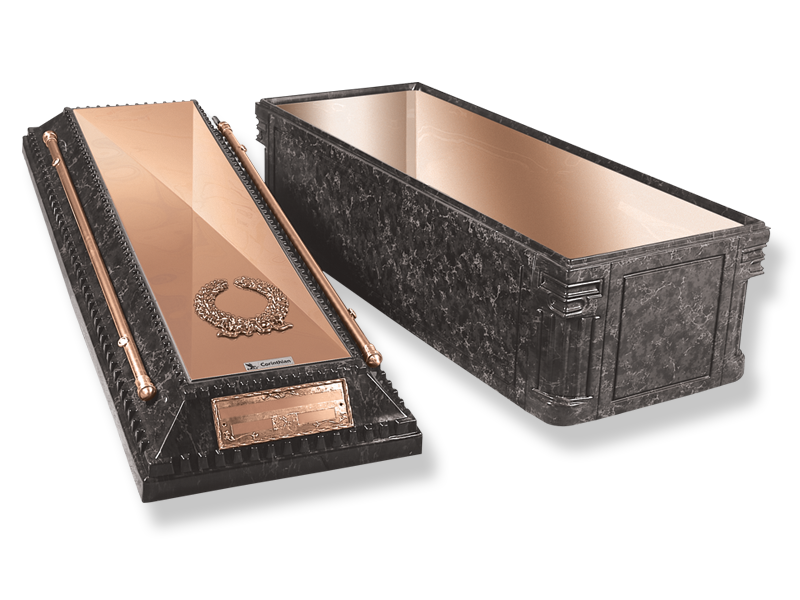 Rich high-gloss finish with copper-plated casket style hardware. 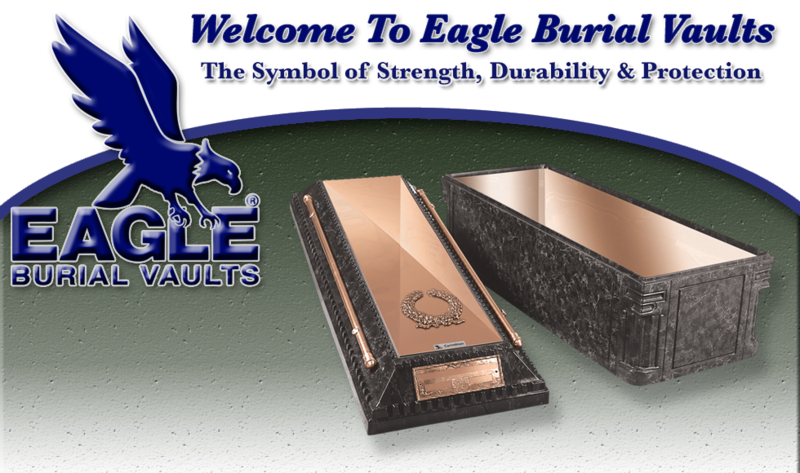 Plus name/date plaque and your choice of religious or fraternal emblems. 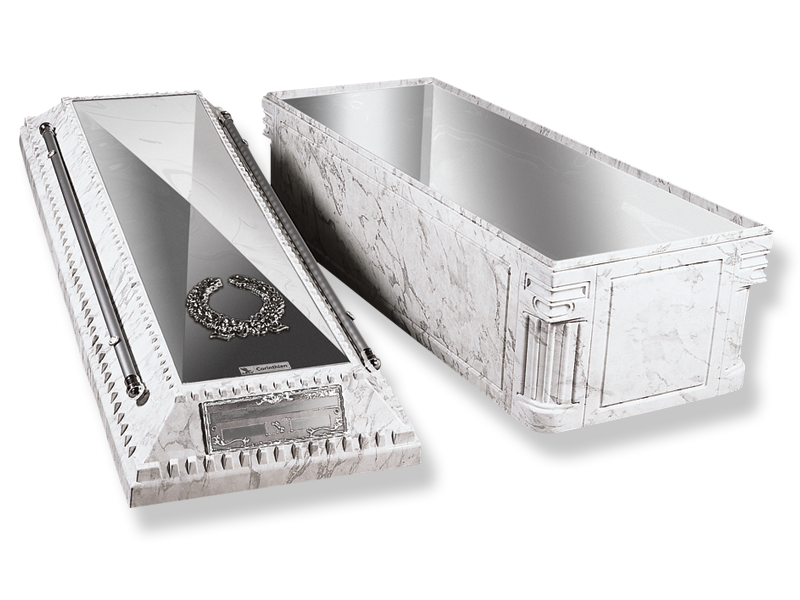 Rich high-gloss finish with chrome-plated casket style hardware plus name/date plaque and your choice of religious or fraternal insignia. 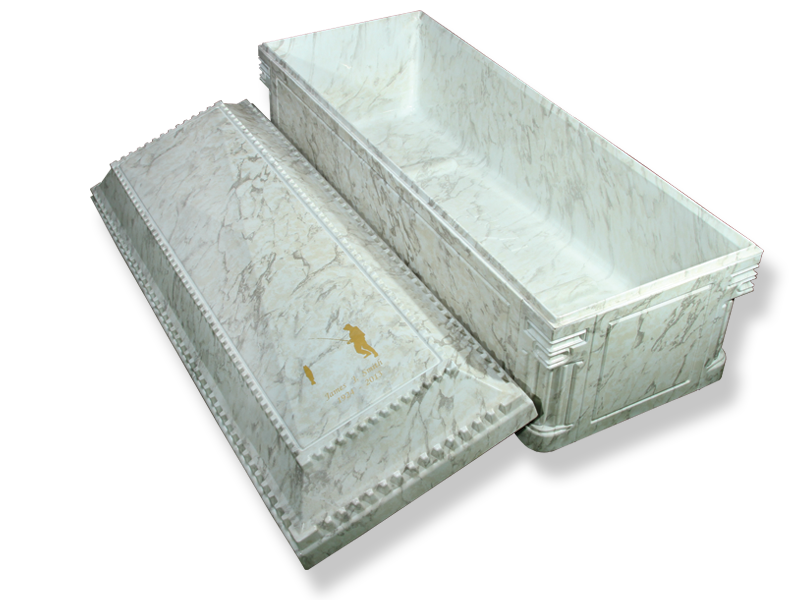 Each polystyrene shell is combined with a special laminated cover sheet to capture the beauty, richness and feel of polished granite or marble. 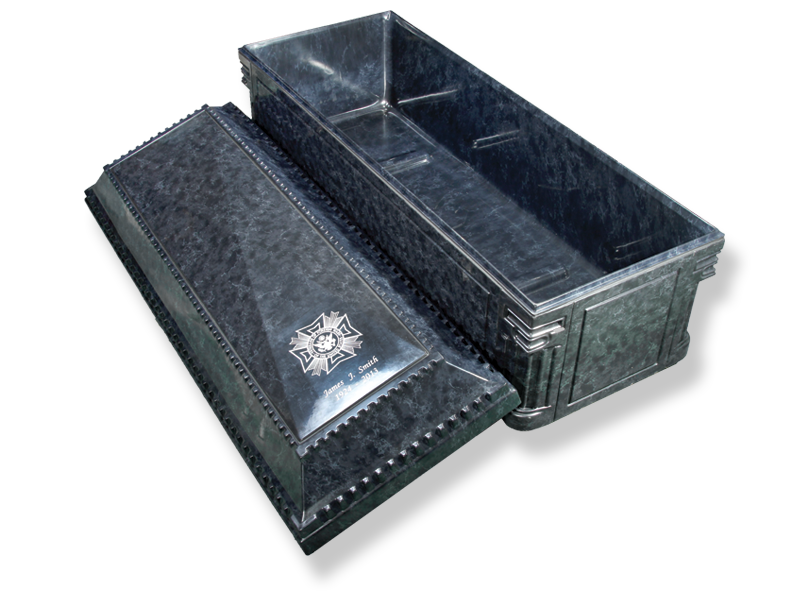 There are 3 finishes to choose from, including gray grantite, white marble or black marble.